On March 18 & 19, 2017, there took place, at the Stigmatine Seminary of Philosophy (Chácara do Vovô) in Campinas, SP, the annual province-wide conference of the Stigmatine Laity (FABER) . The conference was attended by members of the six FABER local centers, i.e. 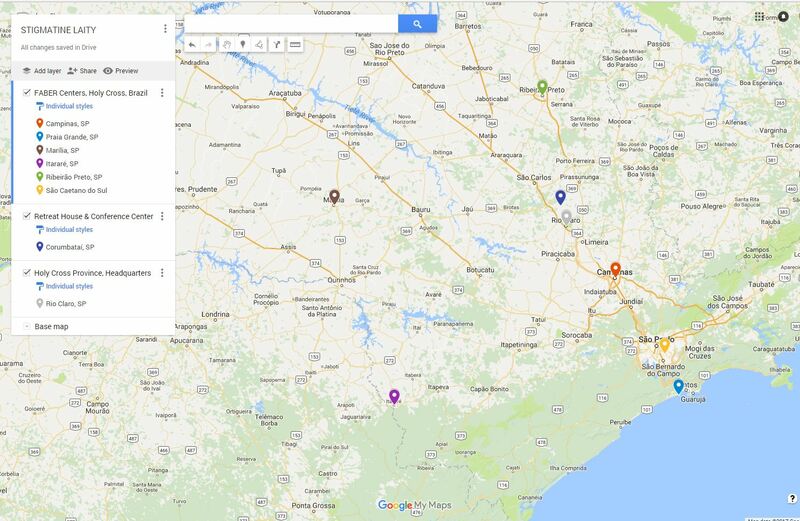 : Marilia, Praia Grande, Ribeirão Preto, Itararé, São Caetano do Sul and Campinas (all in the state of São Paulo). It was a very important moment in the journey of the Stigmatine laity, in which we evaluated the work carried out by the FABER local centers in the last 12 months, and draw up new guidelines for the next period. About 35 people were gathered, among them all the Provincial Councilors, including Fr. Luciano Romero da Silva, CSS (Vocation Director and Director of the Stigmatine laity) and Brother Marcos Paulo. In addition to the meetings, we had also out-of-home and leisure moments, such as a visit to the Cathedral of Campinas, a prayer service in front of the tomb of the deceased Stigmatines, a picnic at Lake Taquaral and, at the closing of the first conferences day, a beautiful Italian Night, prepared and offered with great affection by the FABER Campinas. The second conference day was begun with the Holy Mass, presided by Fr. Luciano Romero da Silva, CSS, who preached and assured us that hope never disappoints, because the love of God has been poured into our hearts through the Holy Spirit given to us (Rm 5:5). 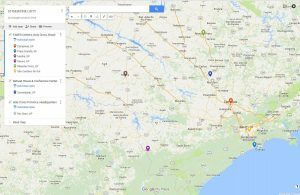 – March 17-18, 2018: annual conferences in Itararé, SP. At the end of the conference, a Relic of St. Gaspar Bertoni was presented to all of us. This relic will visit consecutively all the FABER centers, starting in Itararé. We ask the Lord to strengthen up the spiritual journey of all the Stigmatine Laity, for we can continue walking in the footsteps of our Founding Father St. Gaspar Bertoni, under the light of his Charism. FABER stands for FAMÍLIA BERTONIANA, the Family of lay Stigmatines in the Province of the Holy Cross, in Brazil.